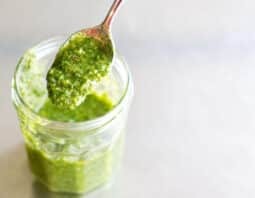 Learn everything you need to know to make the best pesto ever, plus get our perfect pesto recipe. Your pesto will be better than ever. Pesto is a simple and delicious thing but sometimes it doesn’t go well. Here are our 10 best tips for perfect pesto. Wash the greens very well. You don’t want any bits of grit in your pesto. For sure. When washing your greens, use cold water, not warm. Warm water will wilt them. 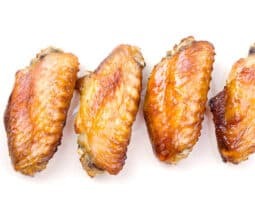 Dry them well in a salad spinner or between layers of kitchen towel. Cut the amount of basil you use down a bit and add parsley to fill in the rest. This will add a lighter note that we know you’ll love. Think carefully about how much garlic you add. The recipe below calls for 1-2 cloves. If you go in with 2, it will be a garlicky pesto. If you stick with 1, it will be milder and more balanced. If it’s more balanced with 1 though, why suggest the possibility of adding 2? Well, I like garlic more than I like balance. My pesto is always really garlicky. I even perhaps have been known to go in with THREE cloves. Yowzers! Pine nuts are traditional in pesto but they’re pricey. You can absolutely use walnuts or pecans instead. Whichever nut you choose, make sure you toast them first. Get out a small pan, add your nuts, put it over medium-low heat and cook, stirring often, until you can smell them. Choose an olive oil that you like the flavor of on its own. If you’re not sure, pour the olive oil onto a plate, sprinkle with salt and pepper and then dip in some bread. 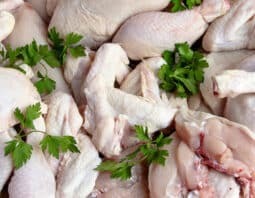 Ask yourself if you’d happily eat that in a restaurant prior to a meal while sipping on a glass of pinot. If the answer is yes, you’ve got a good olive oil. Go for it. Don’t just put everything into the food processor and whiz it up. This bruises the basil leaves and causes the nuts to release too much oil, which will make the sauce kind of pasty. Instead, chop up the basil, nuts and garlic really well first. Then put them into the food processor with the olive oil, salt and pepper (not the cheese). Pulse just a few times. Pesto is supposed to be a bit chunky, not super-smooth. Let it be that way. You don’t have to use Parmesan if you don’t want to, but you do need a hard, salty cheese here. Like, don’t try to add mozzarella or brie. They’re just not going to mix in right. 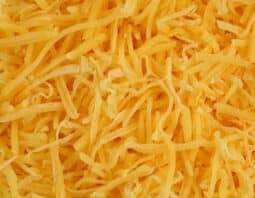 The other cheese tip is to not put it into the food processor with the other ingredients. Instead, grate it finely and stir it in at the end. 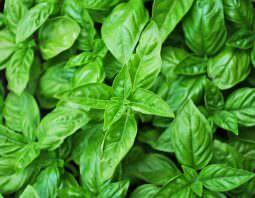 The main issue to be concerned with when it comes to storing basil is that it can turn brown. 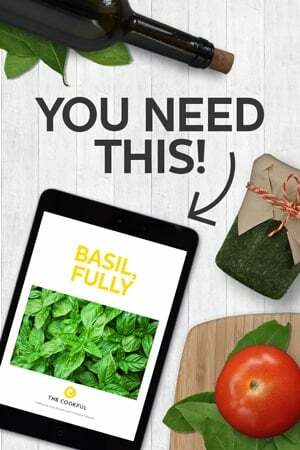 If your basil is nice and thick, as it should be, pour a layer of olive oil on top to prevent air entering and oxidizing it. 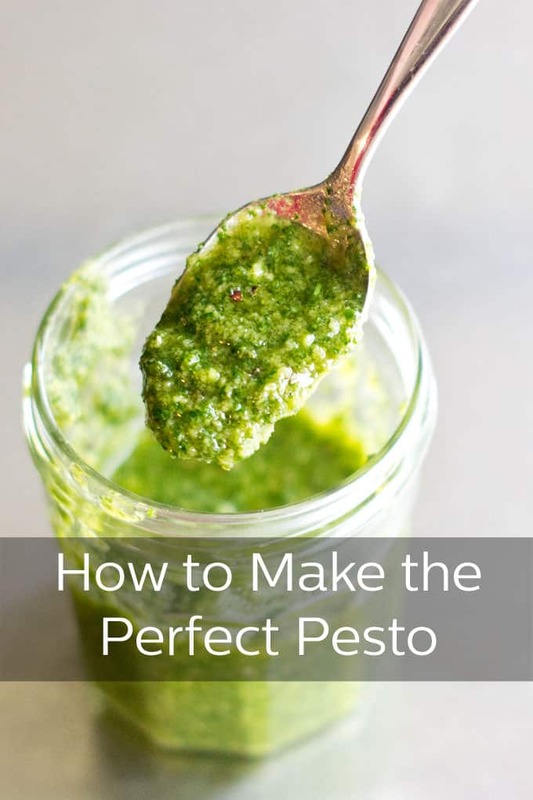 Alternatively, you can press plastic wrap right onto the top of the pesto. Then seal the container and store in the fridge for up to 5 days. Pesto freezes beautifully. You can go the ice cube tray route, if you have enough ice cube trays. 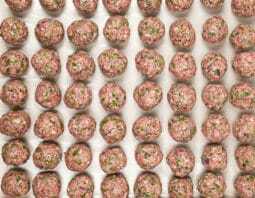 Just fill the trays with pesto and freeze. Once frozen, pop the cubes out and seal them in a freezer bag. What I usually do instead of ice cube trays is to transfer the unfrozen pesto into a freezer bag. Lay it flat in the freezer and go and squidge it around every hour or so. When it is nearly fully frozen, I break it into pieces inside the bag. Then those pieces are the future pesto portions. (If you forget to go in and break up the pesto before it freezes solid, don’t worry. Take it out and defrost it a bit. Then break it up and put it back into the freezer). Wash and dry the basil and parsley well. Using a knife, chop the basil, parsley, pine nuts and garlic. Put them in a food processor. Add the olive oil, salt and pepper. Pulse until will chopped but not smooth. Stir in the Parmesan cheese.